There is a lot to know about health care and home medical equipment and it's all new to you. Let the experts of The Mobilis Home Health Store & Wellness Center help you. Educating you on Medicare, Medicaid and Private Insurance billing. Accepting Medicaid & most major insurances and we can easily verify your coverage. Re-working of denied insurance claims. Providing wheelchair consultation and evaluation. Personalized phone service to answer all you questions. Expert product fittings and caregiver training. Follow up with physicians and health care professionals. Evaluation of client for specialized home medical products. Product and technology training for physicians and therapists. Evaluation of client's home for ADL safety assessment. Equipment repair, parts, service and supplies for most equipment. Loaner products while client's product is in for service. Pick-up and delivery of home medical equipment & supplies. Same day emergency service within a 30 mile radius. 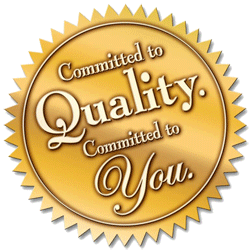 "Our commitment to Quality Service has you in mind."